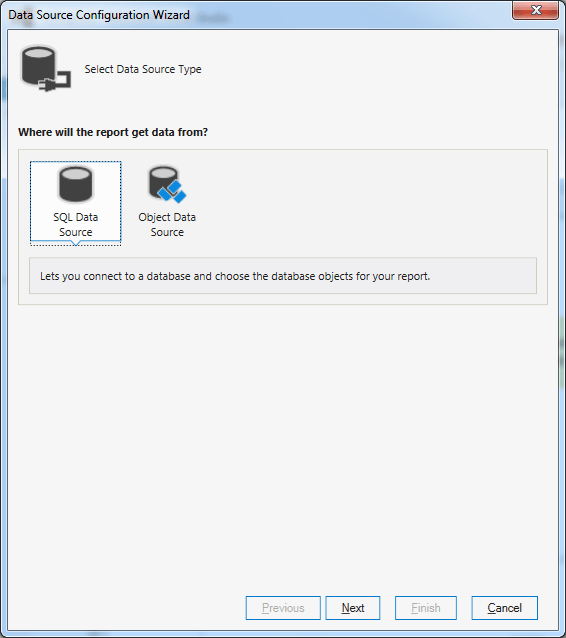 I have added a Report folder in my project to store all reports under same location. 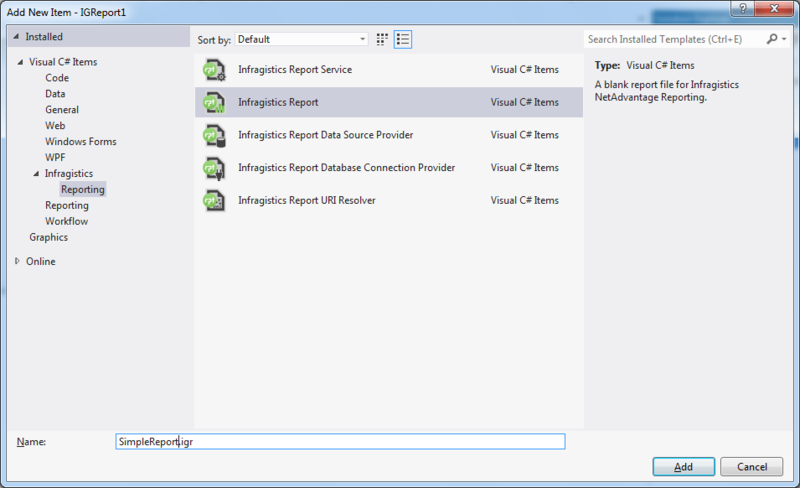 Then we add a new Infragistics Report to the project using “Add New Item”. 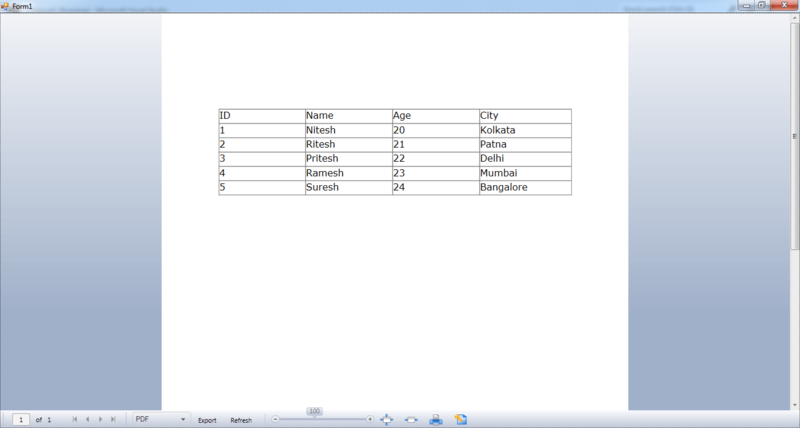 Now, we will configure a data source for the report to display the data. 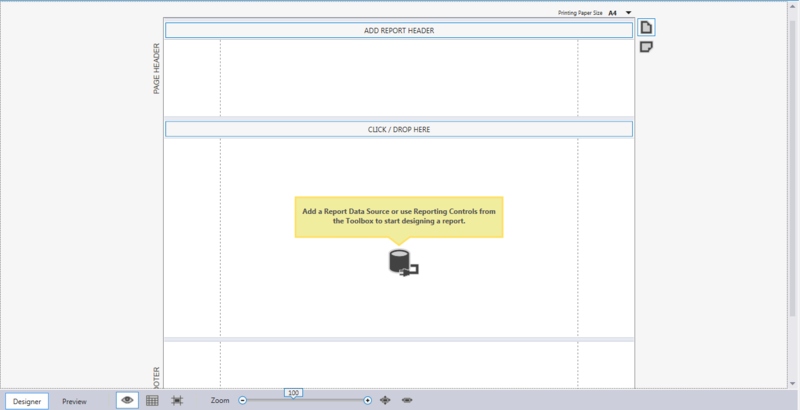 To do so, we will either click on the center of the report that says “Add a Report Data Source or use Reporting Controls from the Toolbox to start designing a report” or we can do so via “View menu > Report Data Explorer”. They both open the same window. 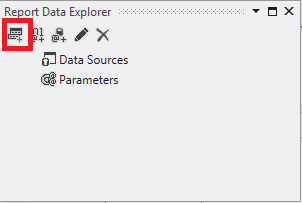 We will be using the “Report Data Explorer” approach. Click on the 1st icon as marked in Red above to add a new data source. 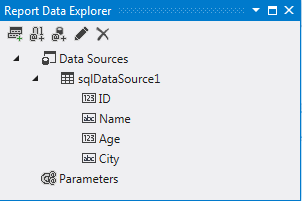 Choose your type of Data Source and Click Next. 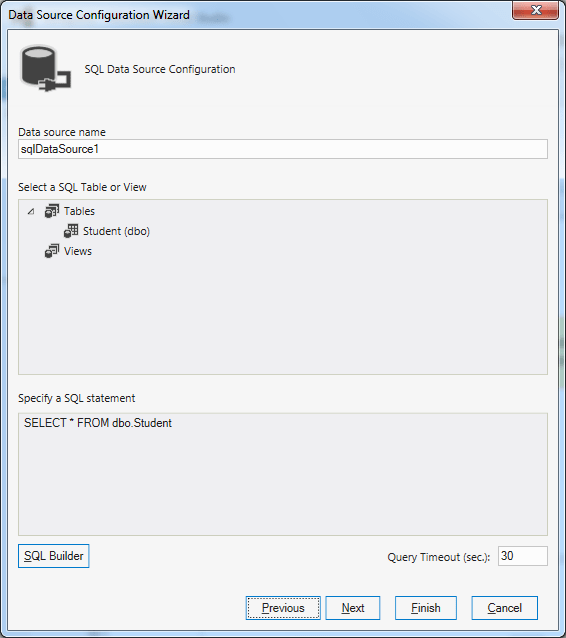 We will use SQL Data Source for now. 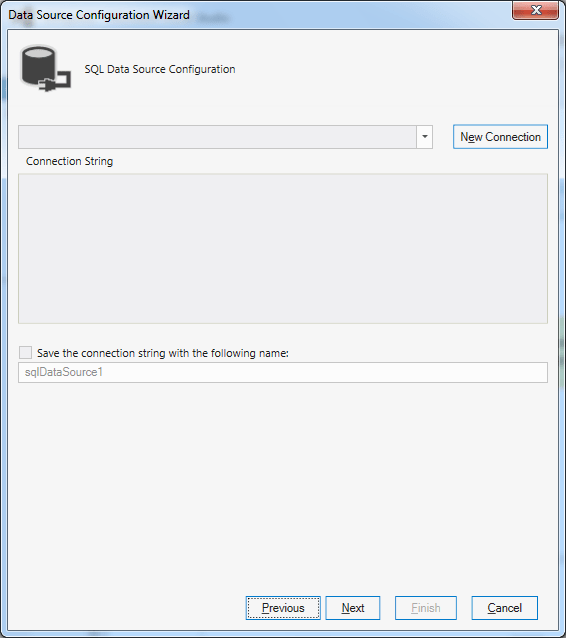 Define the connection to SQL using the “New Connection” button and click “Next”. You can also name the Connection String to whatever you want to. 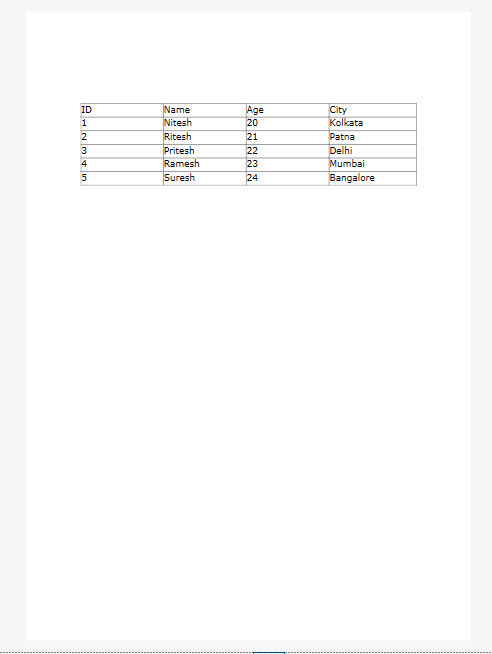 Once the connection is configured, the wizard displays you a list of all tables/views that you can use to build a query for retrieving data for the report. 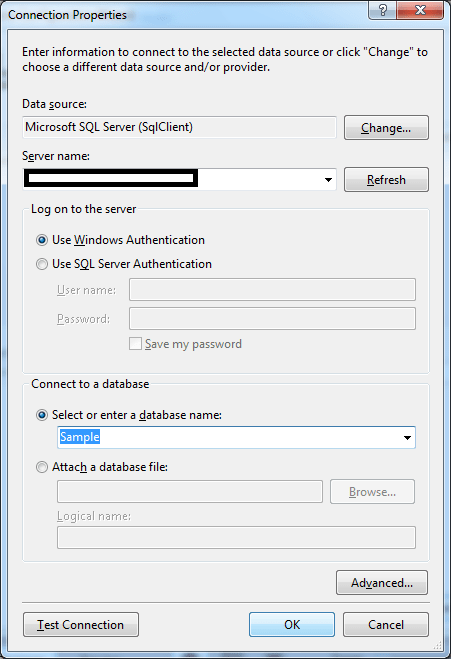 You can either select a table or use “SQL Builder” to create a new query. Also, you can name your data source to your choice. 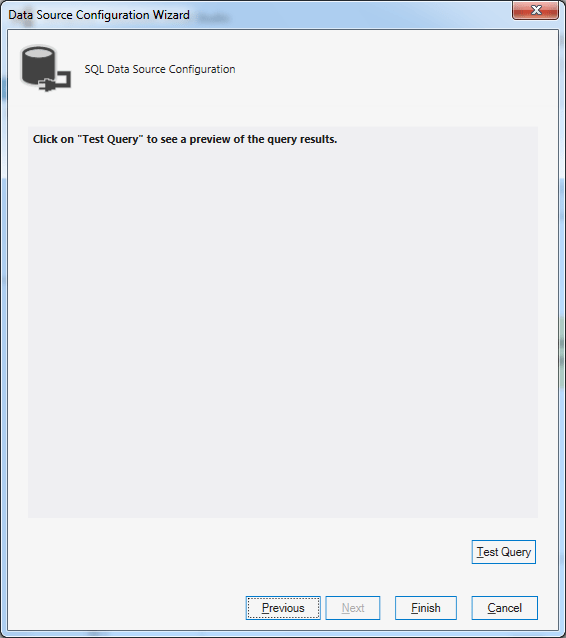 Once you have created the query, click Next. Time to put the fields on the report. Just drag the data source , here ‘SqlDataSource1’ to the Report Body section and you’re done. Our Report part is done. 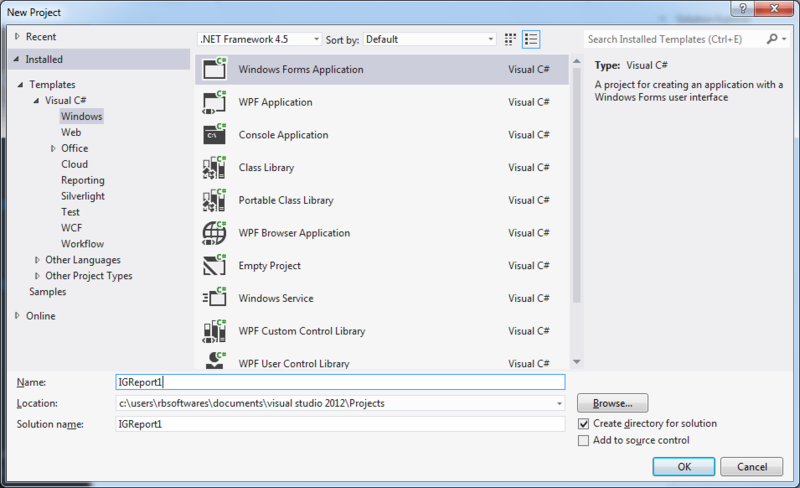 Now, let us show this report on the Windows form. 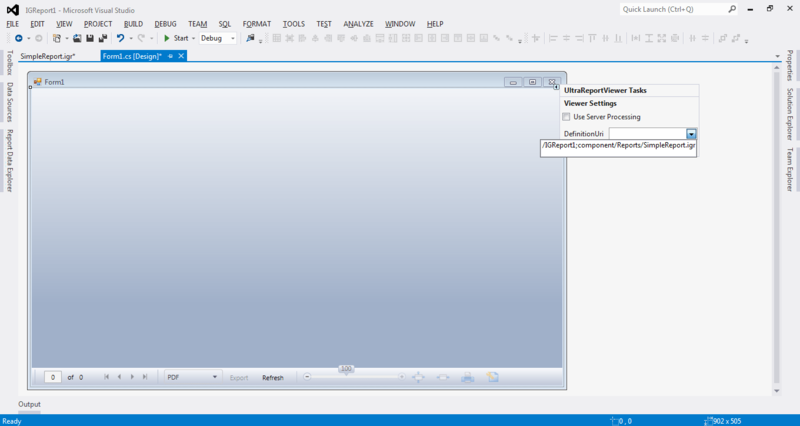 To show an Infragistics report in Windows Forms project, we will need another control provided by Infragistics named as “UltraReportViewer”. 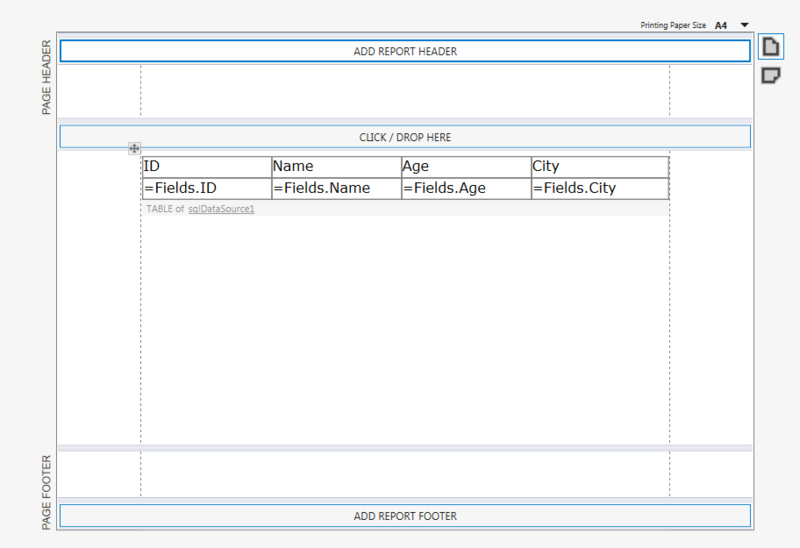 Let us add the control to our main form and configure it to display the report. Now, run the project and it will look something similar to the below one.